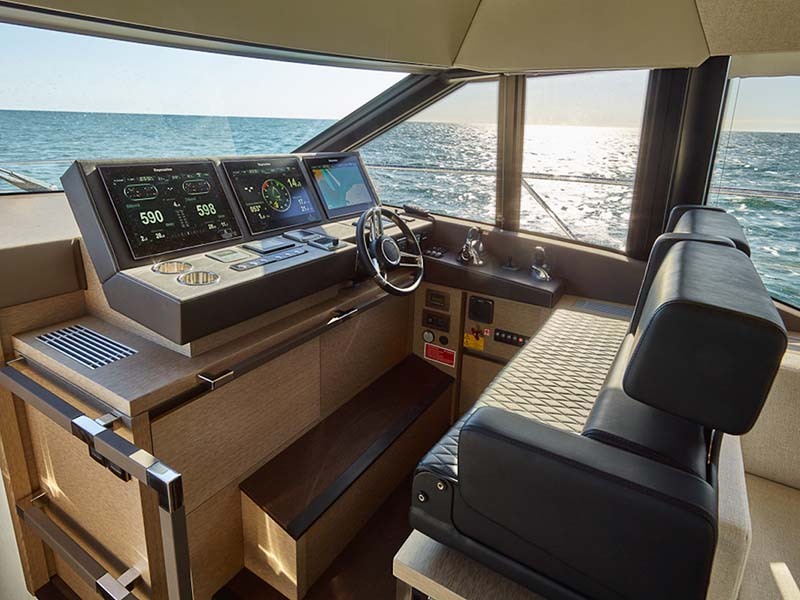 The PRESTIGE 630 adopt the latest innovations by Garroni Design. 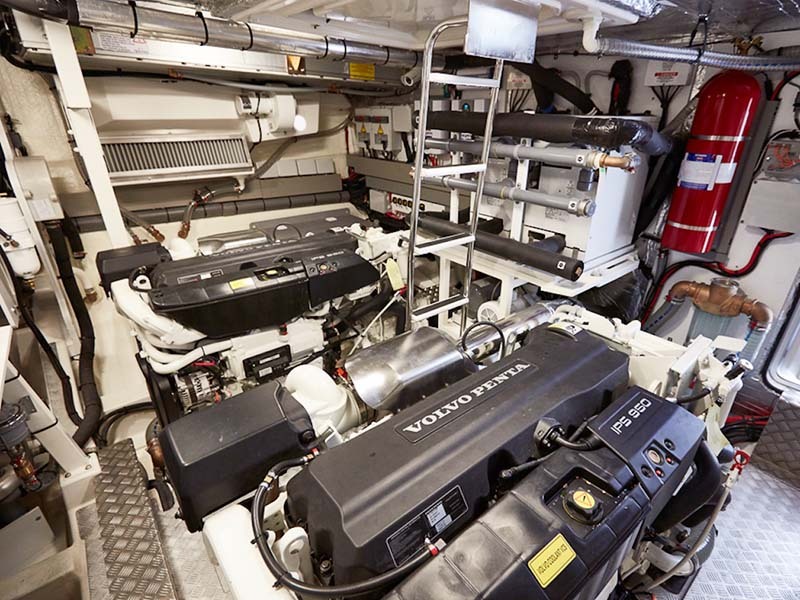 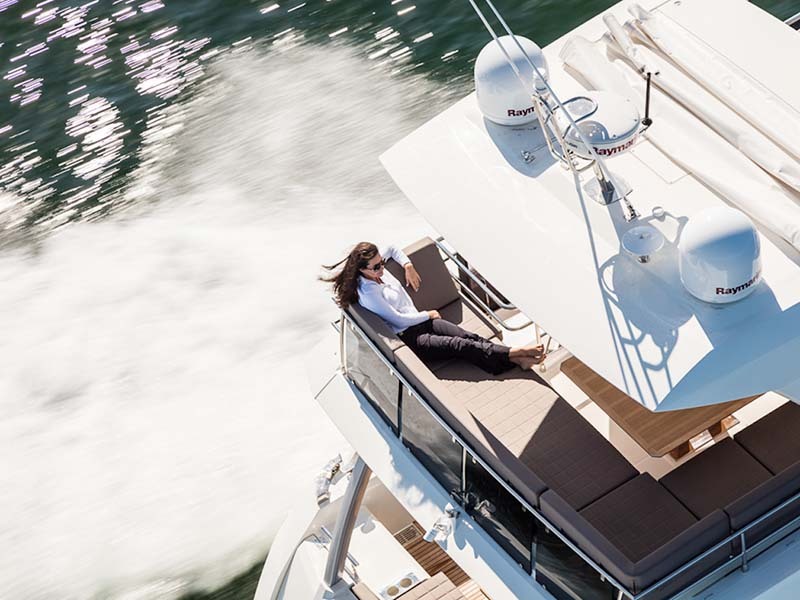 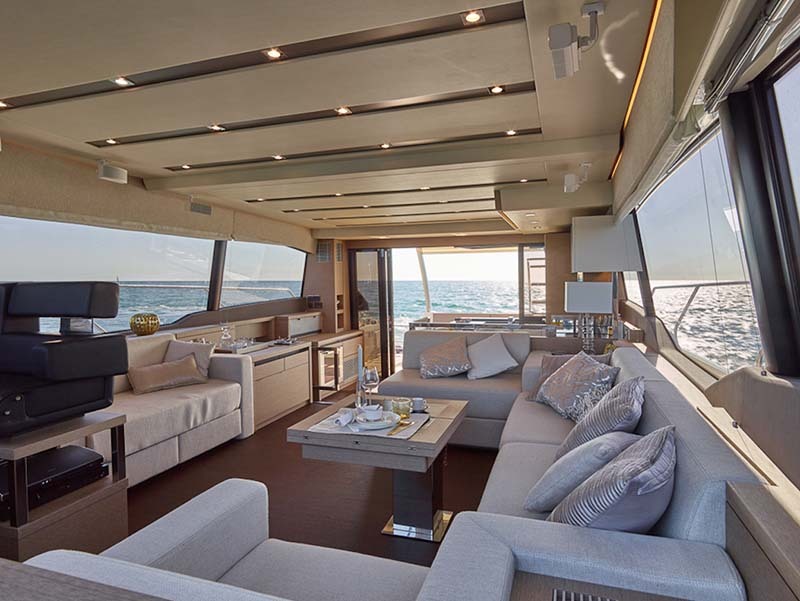 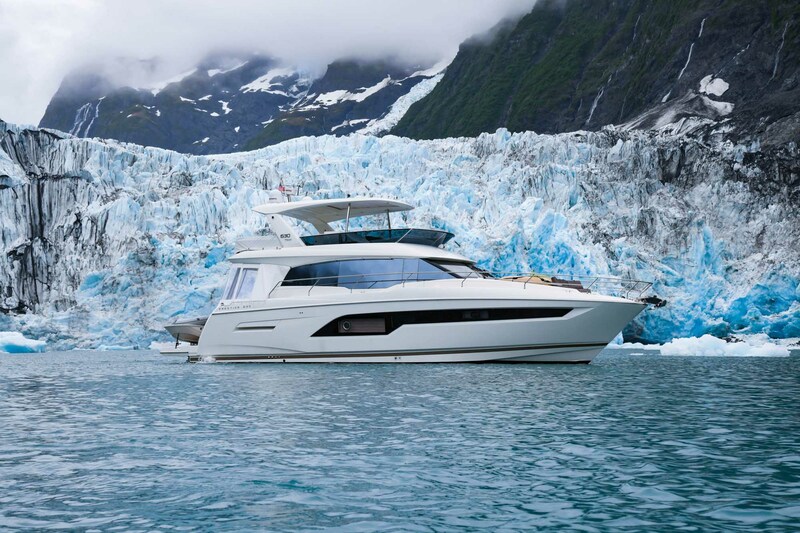 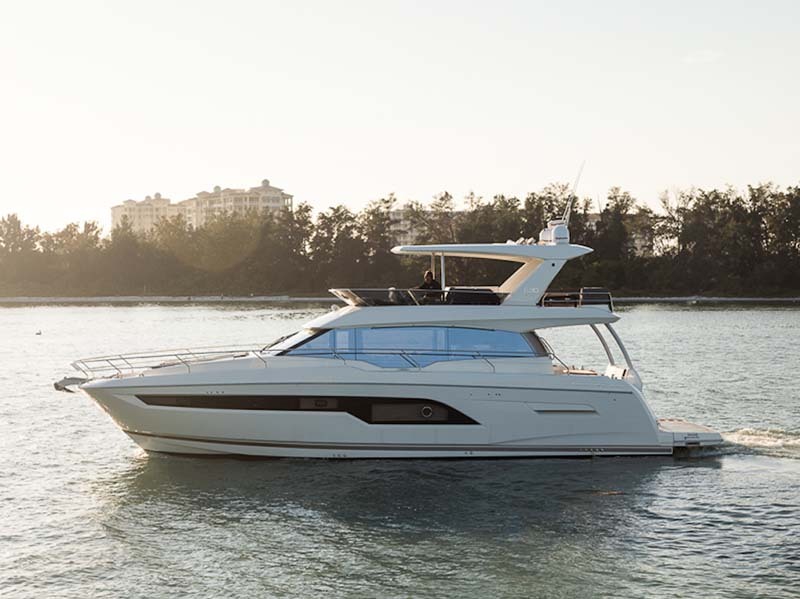 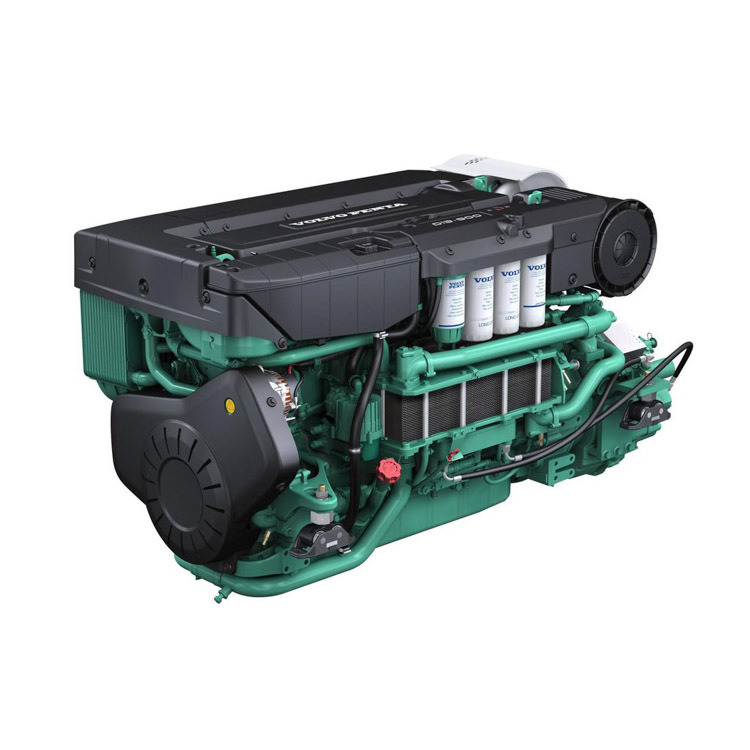 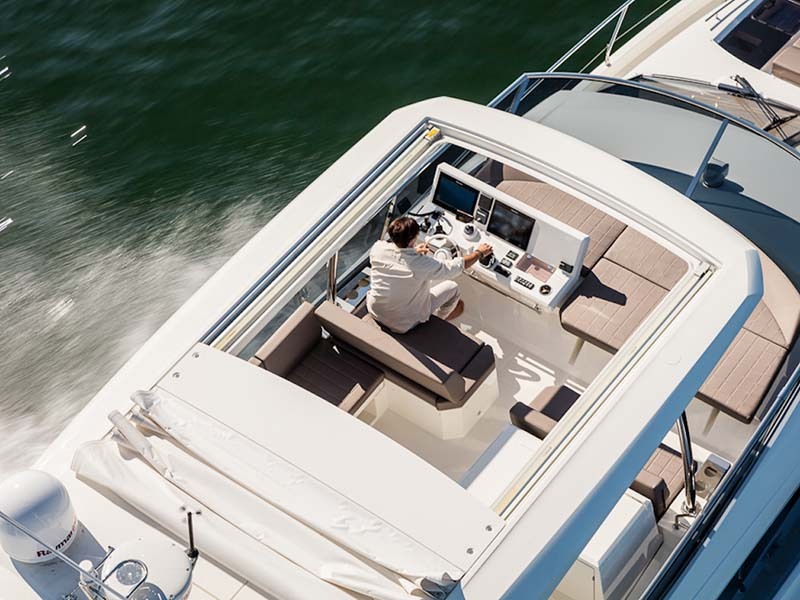 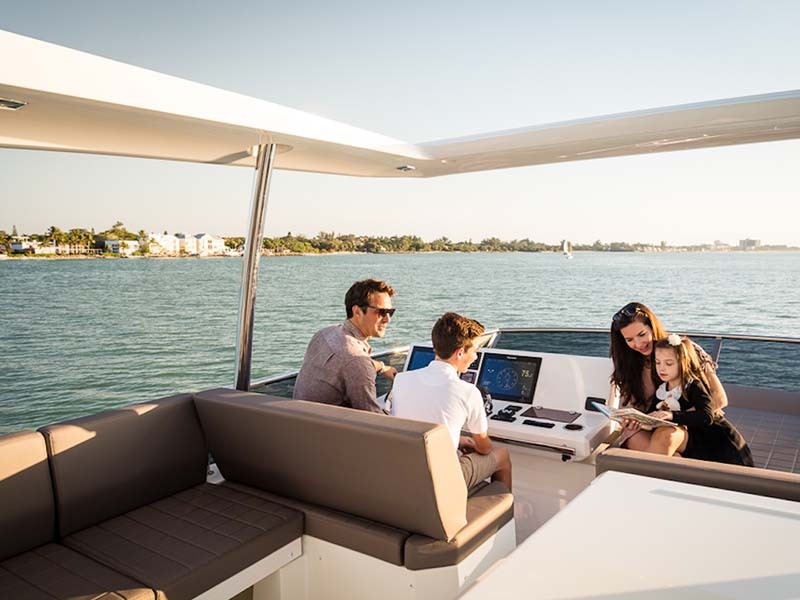 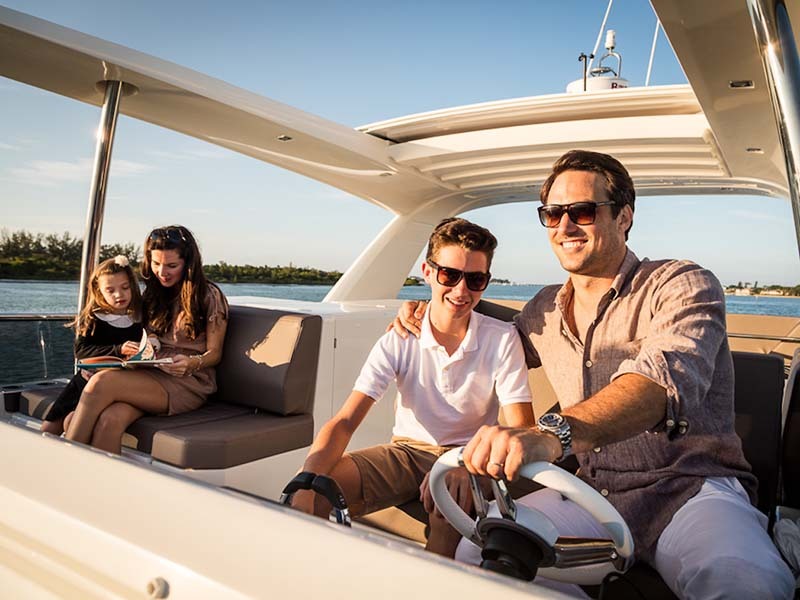 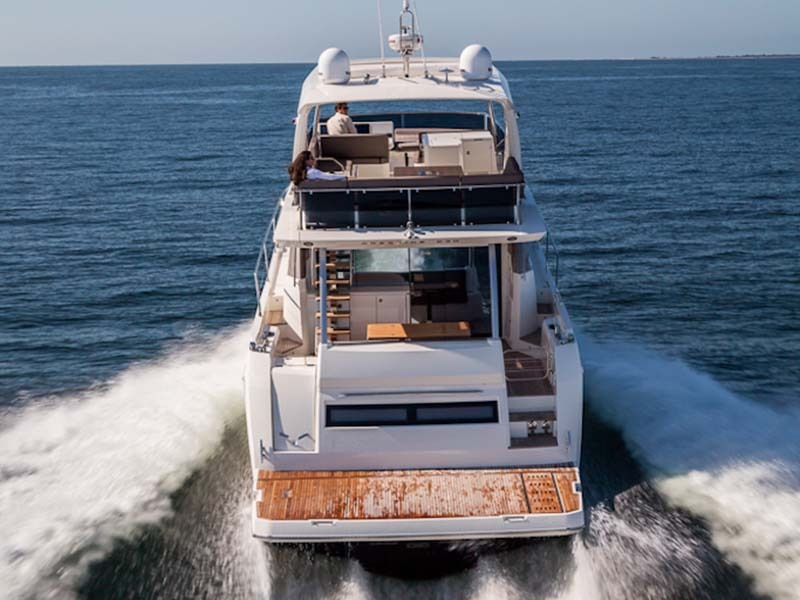 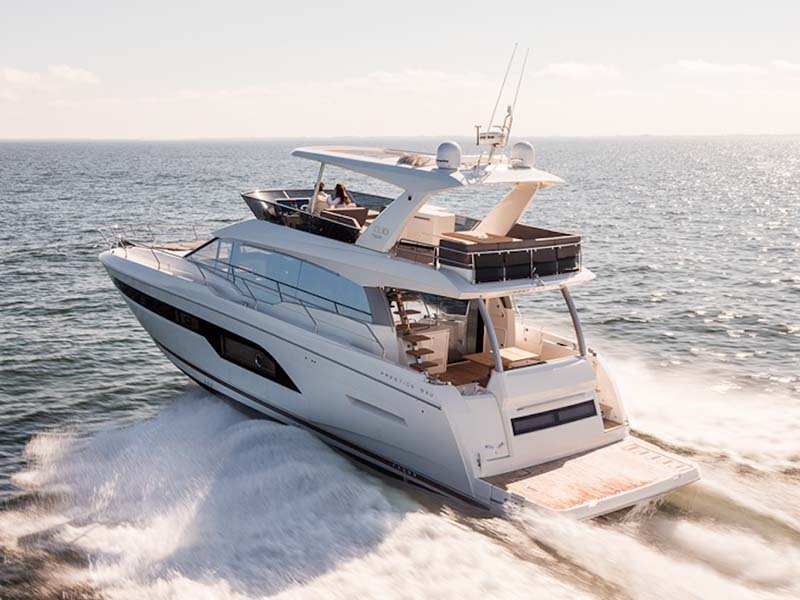 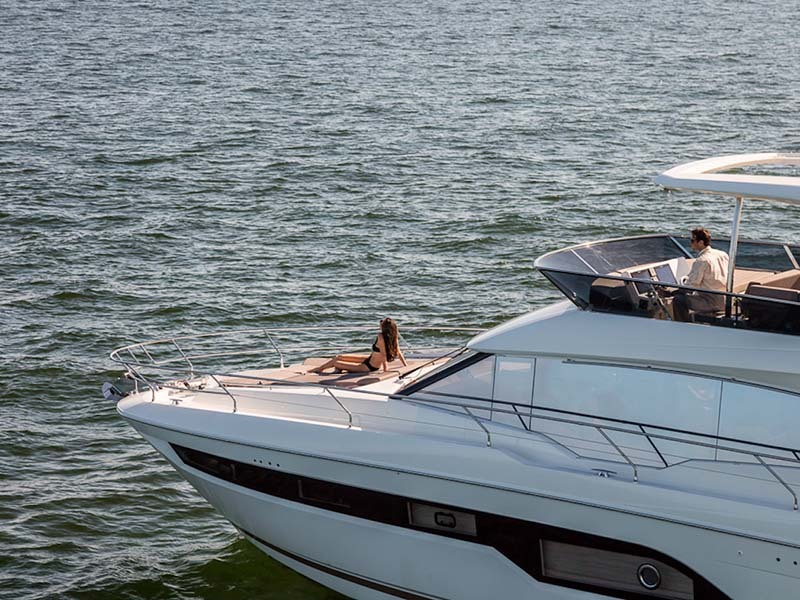 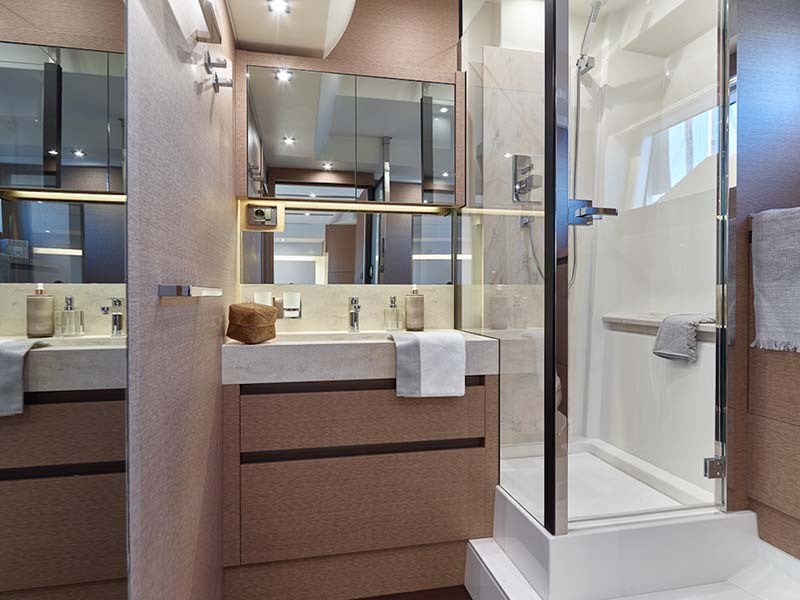 The PRESTIGE 630 can be recognized by her well-balanced exterior design with bold, clean lines and by the elegance of her bright interior layout. 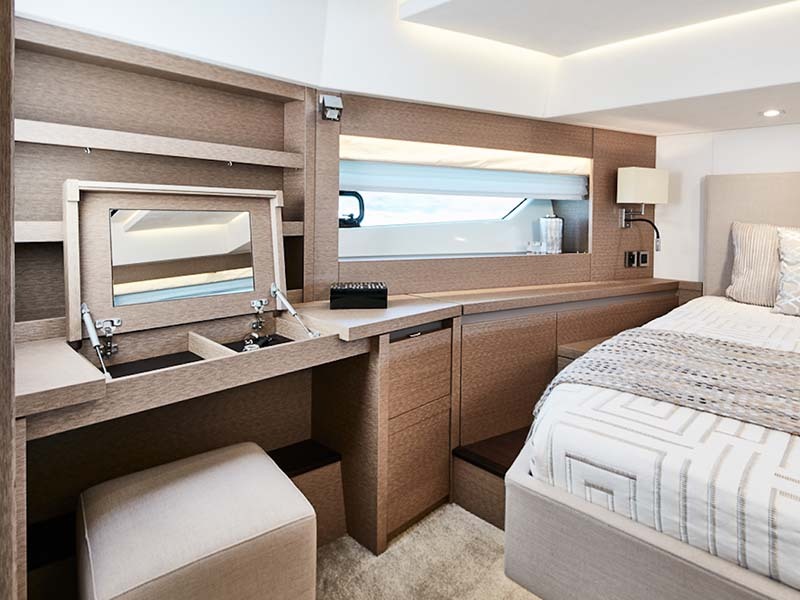 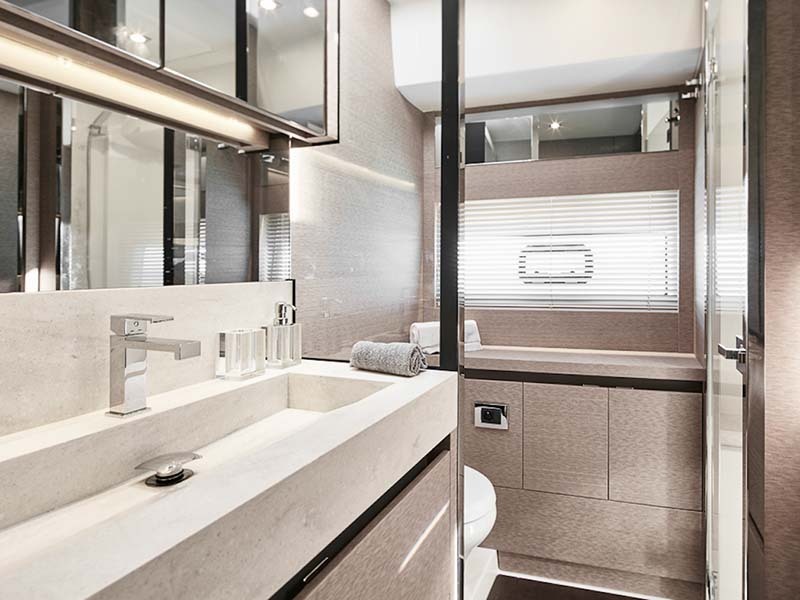 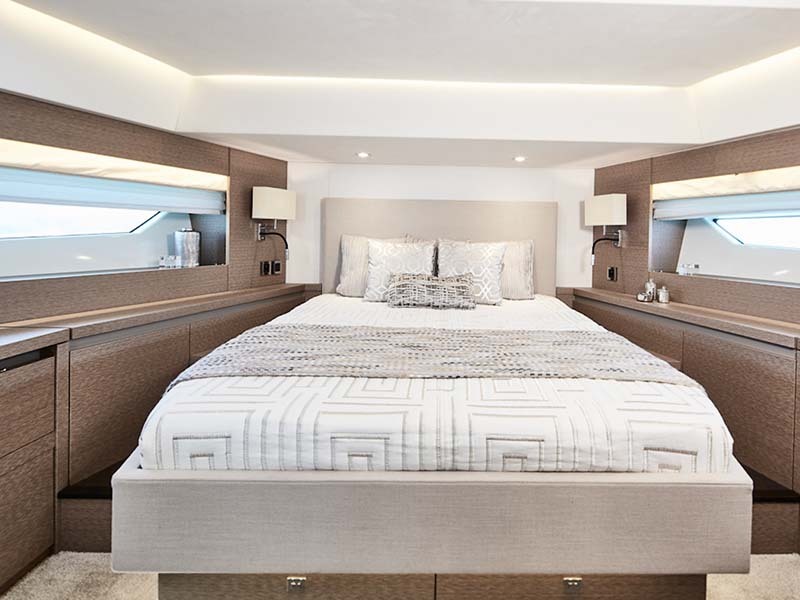 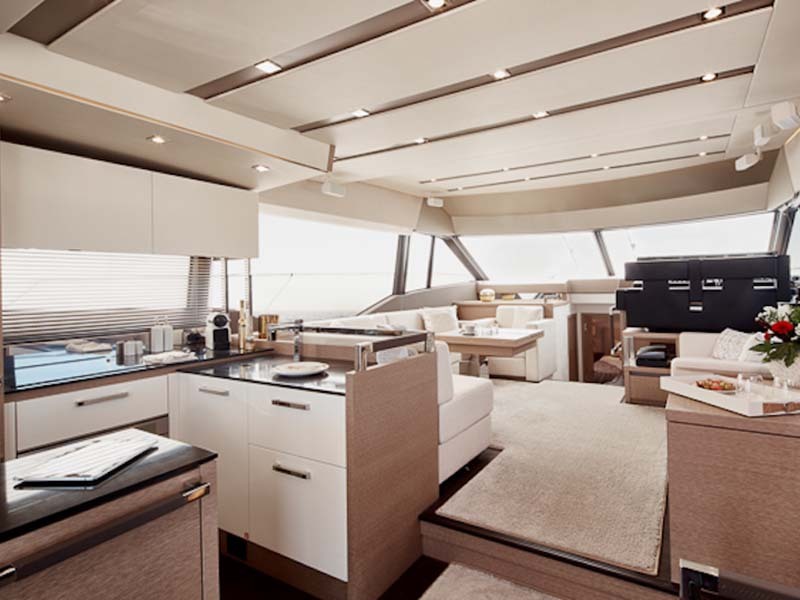 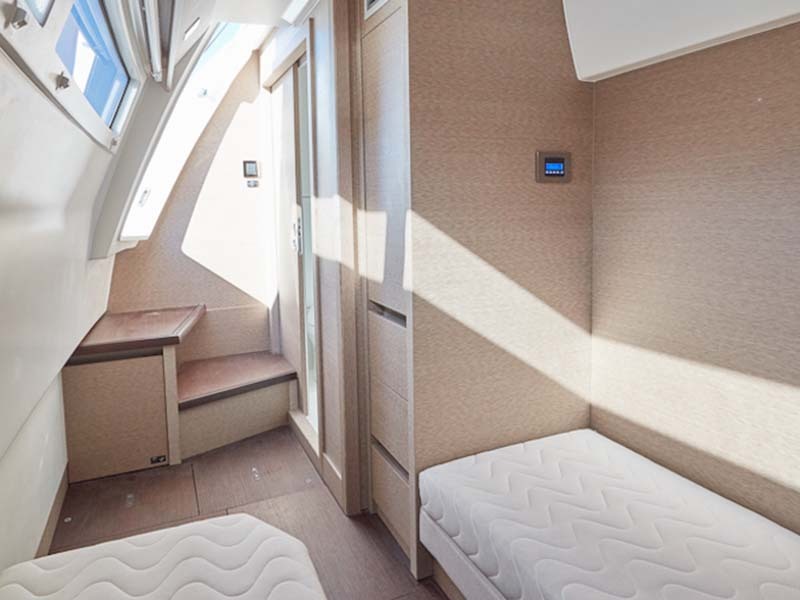 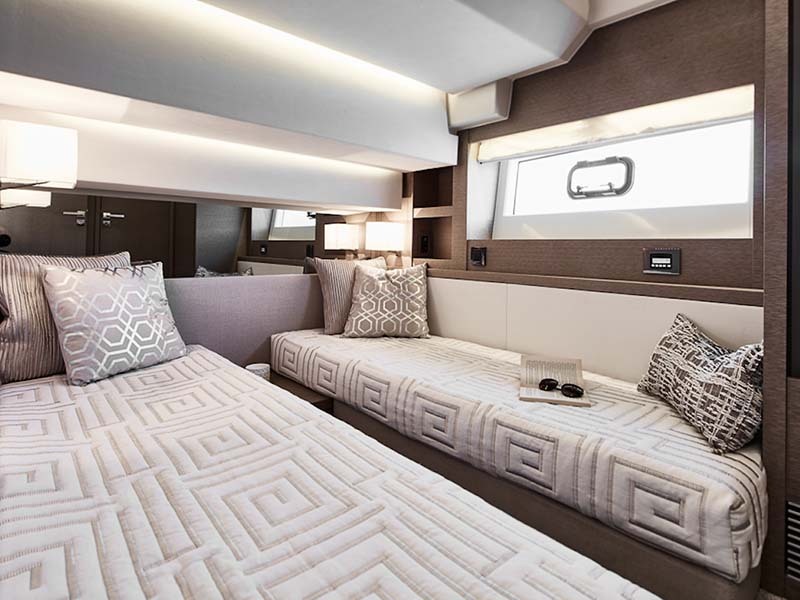 Generous living spaces include the immense saloon, three cabins with private head and shower compartments, including a center-line owner’s cabin, and the flybridge, for absolute comfort on board. 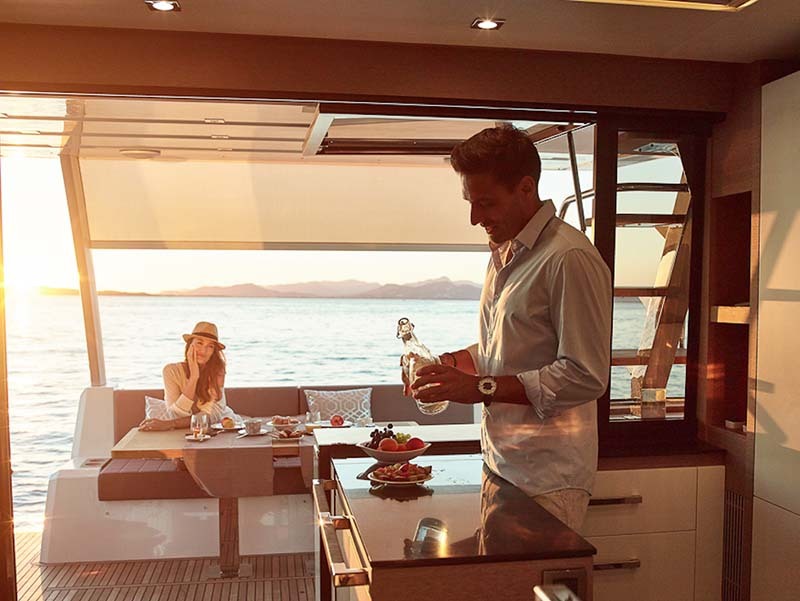 - Villeroy & Boch dishes & cutlery for 8 pers.